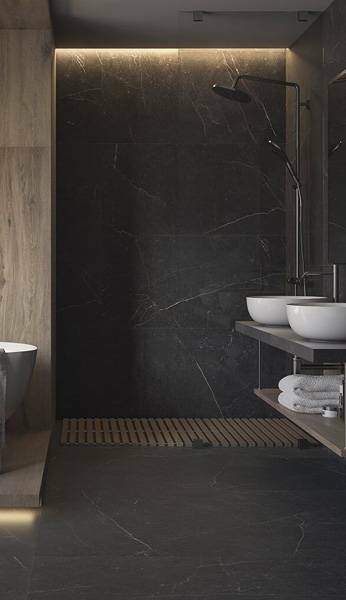 One of the more frequent problems reported by customers in relation to wall ceramic tiles is their temporary discoloration, usually to a darker colour. These discolorations refer to those tiles which are arranged in zones of direct contact with water, and shower zones, as well as in the close vicinity of bathtubs or washbasins. The discolouration usually disappears soon after the surface ceases to be wet or damp. 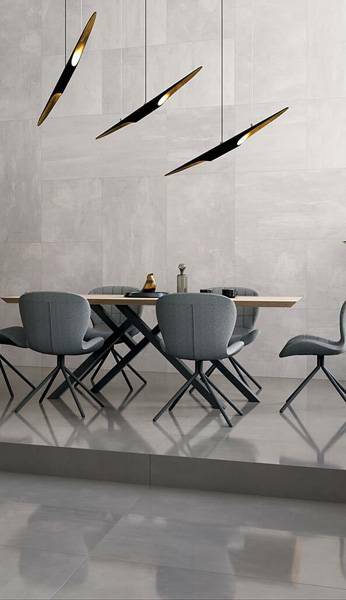 Wall tiles manufactured in monoporosa technology, dedicated to wall applications, are characterized by water absorption E> 10%, which means that they absorb water to a small extent. Such a situation does not happen, for instance, in the case of porcelain tiles, which, due to the strong pressing and burning at high temperatures, have extremely low absorbability, on the other hand, being a more difficult material in glaze treatment. 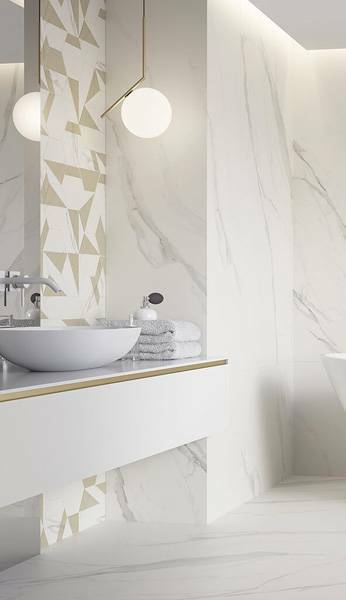 In the production process of wall tiles, their surface is covered with glaze, which not only allows you to print graphics and apply various decorations, but above all creates a water-impermeable layer. 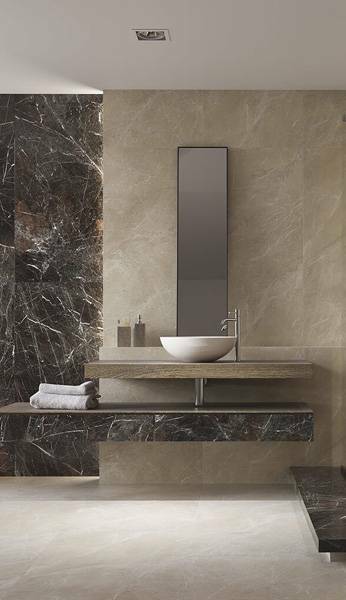 This means that the tiles can absorb water, but only from the mounting side or from the side of the side edges. The phenomenon of discoloration of tiles is a proof of improper preparation of the substrate for the installation of tiles, incorrect application of the grout or its washing, or leaks of water between the layer of tiles and the wall. In order to eliminate the situation of temporary change in the colour of the tile, it is necessary to make a more detailed inspection and assembly corrections – leaving the problem in this form may eventually lead to the detachment of the tiles from the surface on which they were glued.